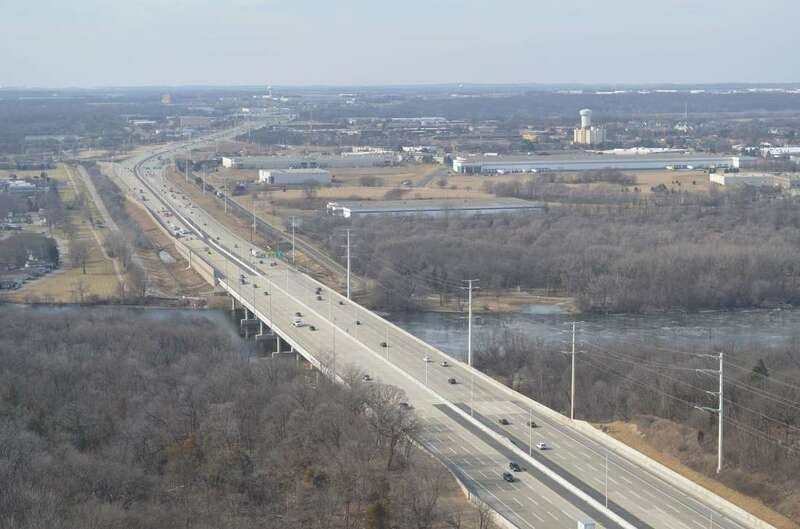 Chastain, as part of a Chastain/Thomas Joint Venture, provided Phase III construction engineering services for the rebuilding and widening of the I-90 Bridge over the Fox River. The project involved the replacement of the existing quarter mile long, twin-15 span, 3-lane structures with two eight-span, four-lane bridges. The new structures provide spans of up to 170 feet utilizing 90” precast, pre-stressed concrete Bulb-T beams. The average daily traffic on this bridge is up to 101,300. Unique features of the project include constructing all new piers under the existing active structures which minimized the length of time lanes needed to be out of service. An innovative overhead gantry system to set beams was utilized which allowed for a reduction in longitudinal joints in the bridges. This system also allowed beams to be set at any time of the day as lane closures were not required, and the use of stainless steel reinforcing steel in the bridge deck to increase the overall lifespan of the two bridges. Along with new retaining walls, mainline pavement and drainage work, the Kane County Forest Preserve District pedestrian/bike bridge mounted below the original structure were also replaced and the City of Elgin’s local roadways used as haul roads to access the project during construction were reconstructed. Scope of work included on-site inspection, review of contractor lay-out including survey controls, stream survey, daily traffic surveillance, record preparation, maintenance of project documents, preparation and submittal of contractor pay estimates, ATP’s, Extra Work Orders, and Change Orders. Estimated construction cost is $75M. Chastain was honored by the 2017 ACEC-Illinois Engineering Excellence Awards Competition receiving the Eminent Conceptor Award for our Phase III construction engineering services performed on this project.